Camping Bel-Air is a mature campsite, set in beautiful countryside just four miles from the bay of Audierne with its wide choice of beaches. These sandy beaches stretch from the Pointe de la Torche to Penhors. From Penhors onwards the coastline becomes progressively more rugged as you travel on to the Pointe du Raz, the Lands End of France. The site is well planned out with large emplacements set in quiet living areas. The ‘Parc de Loisirs’ offers everything from jogging (or walking!) 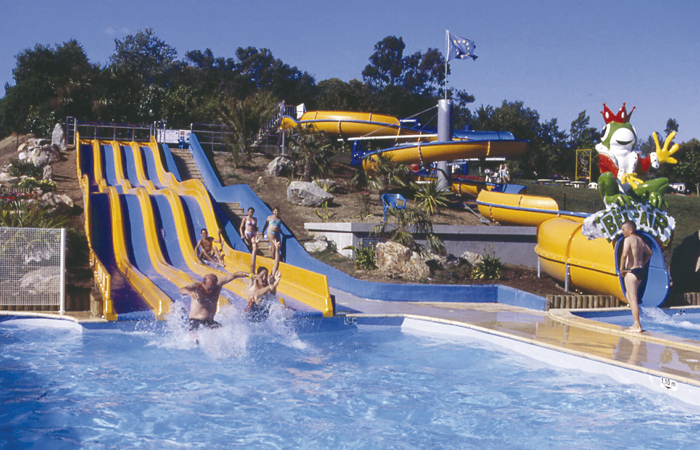 around the lake to an extensive range of amusements including a waterslide, luge run, swings, slides, trampolines, bouncy castles, a pedal Go-cart track, and more. 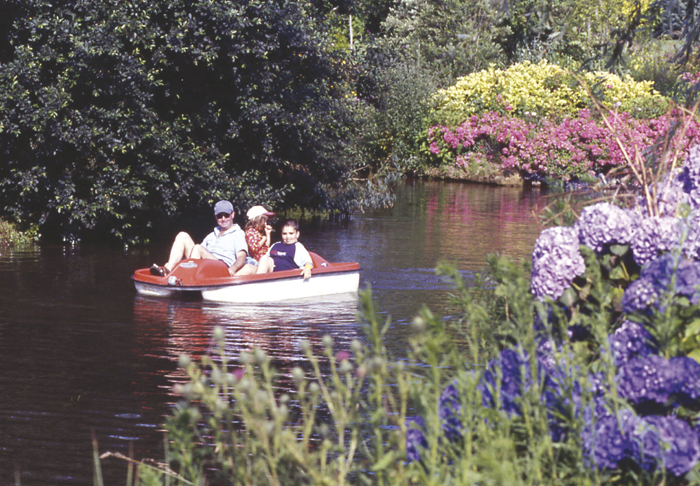 If that all sounds too much, simply take a pedalo out on the lake and watch it all happening from there! The bar is situated in the same area, and organised entertainments take place there throughout July and August, away from the living area of the site. 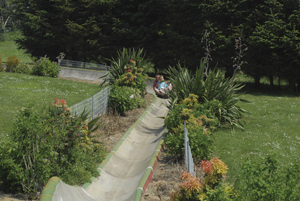 The campsite is ideally placed for exploring the whole of the western Finistere area. You can explore Quimper, Locronan, Pont l’Abbe and the pretty ports of Loctudy, Audierne and Douarnenez.